This ETI Budget HVAC thermometer kit is designed for use in the heating and ventilation industry. But can be used for many other different area's. 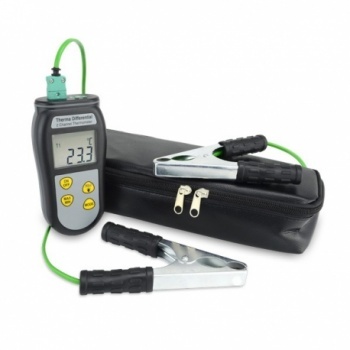 The ETI Budget HVAC thermometer kit offers a great performance for the price. So heating, air-conditioning and ventilation engineers will feel that the ETI Budget HVAC kit represents excellent value for money.